This packet is PRINT and GO ready! 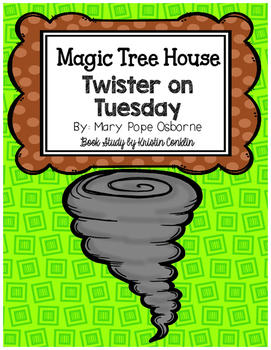 This is a packet of comprehension questions is for the book Magic Tree House #23- Twister on Tuesday. There are questions for each of the 10 chapters. This is good way to for the students to practice answering questions in complete sentences as well as choosing multiple choice answers. 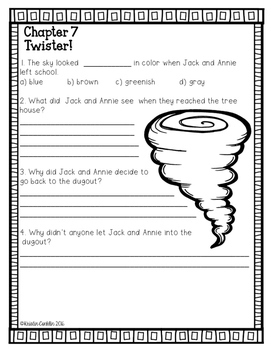 This packet can be used in guided reading as well as for independent work for assessment over their reading.